Enjoy the swing sounds of the Moonlight Jazz Orchestra during a USO style dance Sept. 24. 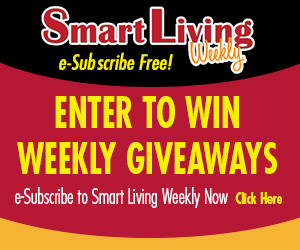 Through Oct. 26, recurring Wed. 9 a.m.-1p.m., Thurs. 3 p.m.-6:30 p.m. Local farmers display their highest quality vegetables, fruits, flowers and plants, as well as fresh baked breads, artisan cheeses, maple syrup, honey, locally raised free-range meats, farm fresh eggs, jams and jellies, brick oven pizzas and more. Edgebrook, 1639 N. Alpine Road, Rockford, (815) 398-8957, edgebrookshops.com. Through Sept. 30, Fri. 3:30-8:30 p.m. Sample local food and brews and listen to live music under the new covered pavilion. Water Street north of East State Street, Rockford, (815) 977-5124, rockfordcitymarket.com. Sept. 2, 7-8:30 p.m. Enjoy the last full-production water ski thrill show of the year. Freestyle jumping, ballet, pyramids and stunts you’ve never dreamed of make this a night to remember. Shorewood Park, 235 Evelyn Ave., Loves Park, Ill., skibroncs.com. Through Oct. 28, 3:30-7 p.m. Find locally grown fruits and vegetables, eggs, honey, cut flowers, potted perennials and baked goods. Winnebago Public Library, 210 N. Elida St., Winnebago, Ill., (815) 335-7617. Sept. 3, 6:30 a.m. registration, 7:30 a.m. half marathon, 7:45 a.m. 5K, 8 a.m. kids fun run, 8:30 a.m. 3K walk & wheel, 8:45 a.m. half marathon & 5K top finisher awards, 9:30 a.m. 3K. Trolley Station at Riverview Park, 324 N. Madison St., Rockford, (815) 968-7467, rampriverrun.com. Sept. 9-11, Fri. 7 p.m., Sat. & Sun. 8 a.m. Run a 10K on Friday, a 25K Saturday and a 25K or 50K on Sunday. All races go through the scenic trails of Rock Cut State Park. Run all three days to receive special prizes. Rock Cut State Park, 7318 Harlem Road, Loves Park, Ill., (815) 670-4239. Sept. 9-11, Fri. 5-11 p.m., Sat. noon-11 p.m., Sun. noon-9 p.m. Enjoy dancing (both modern and traditional Greek), food, Greek and domestic beers and wines, baked goods, vendors and a raffle drawing. Sts. Constantine and Helen Greek Orthodox Church, 108 N. 5th St., Rockford, (815) 963-8625, rockfordgreekfest.com. Sept. 9-11, Fri. 5-10 p.m., Sat. 11 a.m.-10p.m., Sun. noon-8 p.m. The Roscoe Lions Club hosts the village’s annual Fall Festival, featuring amusement rides, live music, parades and raffles. Leland Park, 10701 3rd St., (815) 623-2435, roscoelionsclub.com. Sept. 9-10, Fri. 4 p.m.-midnight, Sat. 9 a.m.-midnight. Festivities include carnival rides, food vendors, a bags tournament, beer tent and live music. Saturday features a cardboard boat regatta during the day and fireworks at 8:30 p.m. Preservation Park, 3444 S. Riverside Dr., Beloit, (608) 362-4612, facebook.com/festivalontherock. Sept. 9-10, Fri. 6-10 p.m. Sat. 11 a.m.-midnight. Enjoy musical entertainment from top bands as the upper-midwest’s largest chili cook-off and salsa competition commences. Games and activities for children make Chilimania a fun festival for families. Downtown Edgerton, Wis., (608) 561-7566, chilimania.com. Sept. 10, 1-5:30 p.m. The sixth annual Screw City Beer Festival features dozens of American craft breweries. Sample more than 130 beers. Downtown Rockford, West State St. and Main St., Rockford, screwcitybeerfest.com. Sept. 10, 10-11:30 a.m. Come for a hike in the fall prairie to see the wild sunflowers, then use a special telescope to view sunspots. Weiskopf Observatory, 7993 N. River Road, Byron, Ill., (815) 234-8535, byronforestpreserve.com. Sept. 10, 11 a.m.-8 p.m. The annual Durand Biker Bash & Chili Shootout includes local vendors, a bike show, chili tasting, live entertainment, food and fun. The event raises funding and awareness for Juvenile Diabetes. Sept. 10, 9 a.m.-4 p.m. Shop among more than 100 vendors selling vintage, re-purposed and handmade items. Listen to three stages of music and purchase food and beverages from local vendors. Midway Village Museum, 6799 Guilford Road, Rockford, (815) 985-9918, urbanfarmgirl.com/mainstreetmarket. Sept. 15, noon-6 p.m. What better way to wind up summer than taking a swing at golf? This four-person scramble offers the opportunity to win tournament prizes and raffle prizes. Evansville Golf Club & Restaurant, 8501 N. Cemetery Road, Evansville, Wis., (608) 882-5131, evansvillechamber.org. Sept. 15-16, recurring daily. Visit more than 100 exhibits that feature the latest products and services for the older adult. Learn more about health, finance, travel and personal improvement, watch healthy cooking demonstrations, take advantage of on-site health screenings and enjoy entertainment. Mercy Indoor Sports Center, 8800 E. Riverside Blvd., Loves Park, Ill., (815) 963-1609, lifescapeservices.org. Sept. 16, 5-8 p.m. A special evening of pampering is ready for ladies who enjoy a leisurely shopping experience. Historic Downtown Evansville and its merchants have extended store hours for participants. Downtown Evansville, Madison and Main Streets, Evansville, Wis., (608) 882-5131, evansvillechamber.org. Sept. 17, 8 a.m. Support the Girl Scouts of Northern Illinois by running or walking in the annual Road Runner Circuit race, featuring an 8K-road race and 2-mile family run/walk on a beautiful course. There will be age group awards, door prizes and refreshments. Rockford Program Center for Boy Scouts and Girl Scouts, 7194 Vandiver Road, Cherry Valley, Ill., (815) 962-5591, girlscoutsni.org. Sept. 17, 8 a.m. registration, 9:30 a.m. ceremony, 10 a.m. 2-mile walk. Held annually in more than 600 communities nationwide, the Alzheimer’s Association Walk to End Alzheimer’s is the world’s largest event to raise awareness and funds for Alzheimer’s care, support and research. This inspiring event calls on participants of all ages and abilities to reclaim the future for millions. Martin Park, 5701 Park Ridge Road, Loves Park, (815) 977-9125, act.alz.org. Sept. 17, 9 a.m.-9 p.m. Scarecrows line the sidewalks, while festival-goers enjoy food, arts and crafts, a flea market, live music, entertainment and Delavan’s famous duck raffle. Downtown Delavan, E. Walworth Ave., Delavan, Wis., (262) 740-0959, delavanwi.org. Sept. 17-18, Sat. & Sun. 8 a.m.-5 p.m. This flea market has more than 500 vendors selling everything from antiques and collectibles to crafts and home goods items. Parking is free. Concessions are available. No pets allowed. Winnebago County Fairgrounds, 500 W. 1st St., Pecatonica, Ill., (815) 239-1641, winnebagocountyfair.com. Sept. 18, 10 a.m. adult 5K, 10:45 a.m. high school 5K, 11:30 a.m. kids 1-mile fun run. This philanthropic event is dedicated to serving the disadvantaged youth within our community. All proceeds are donated toward Youth for Christ. Midway Village Museum, Rockford, (815) 721-4427, midwayvillage.com. Sept. 18, 8 a.m.-4 p.m. The Beloit Autorama has grown from its first show in 1977 with 130 show cars to become one of the largest automotive one-day events in the Midwest. More than 1,000 cars in the classes of Street Rod, Custom, Corvette, Antique, Classic, Truck, Chevys, Street Machine, Muscle Car and Special Interest are expected at this year’s show. Preservation Park, Beloit, (608) 290-3628, beloitautorama.com. Sept. 18, 8 a.m. All marathon participants receive a finisher’s medal, shirt, drawstring tote, a free pre-race dinner and a free pancake breakfast on race day. Whitewater High School, 534 S. Elizabeth St., Whitewater, Wis., (920) 397-0601, runwhitewater.com. Sept. 23, 5:30-7:30 p.m. Speak with re-enactors, get a close look at vehicles and experience the displays. Also included is a tour of the 150 yard, 3-bunker trench system and copy of the 20th anniversary book. Midway Village Museum, Rockford, (815) 397-9112, midwayvillage.com. Sept. 23-24, Fri. 5 p.m.-midnight, Sat. noon-midnight. The German Society of Rockford is hosting the 52nd annual Oktoberfest celebration, featuring fun activities and entertainment for the entire family. Enjoy polka music, German food and Bier, dance lessons, German language lessons, face painting, Bier Barrel racing and much more. Loves Park City Hall, 100 Heart Blvd., Loves Park, Ill., (815) 877-4156, germansocietyrockford.org. Sept. 24, 8:30 a.m.-noon. Take a scenic two-hour guided tour of the Rock River from just below the dam in Oregon to Castle Rock State Park. View the area’s many unique St. Peter sandstone rock formations and miles of hardwood forest along the most scenic stretches of the Rock River. Must have at least one adult per canoe. Byron Forest Preserve, 7993 N. River Road, Byron, Ill., (815) 234-8535, byronforestpreserve.com. Sept. 24, 10 a.m.-1:30 p.m. The ALS Association Greater Chicago Chapter is hosting the Walk to Defeat ALS. Pre- and post-walk activities are available for all registered walkers. Rock Valley College, 3301 N. Mulford Road, Rockford, (312) 932-0000, alsa.org. Sept. 24, 7-11 p.m. Listen to the featured swinging sounds of the Moonlight Jazz Orchestra. 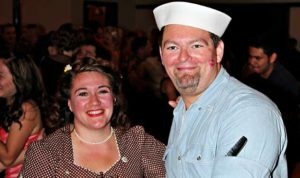 Guests are encouraged to attend the USO style dance in 1940s attire. Concessions are available for purchase. MercyRockford Indoor Sports Center, Loves Park, Ill., (815) 397-9112, midwayvillage.com. Sept. 24. Join this community celebration with farmers/craft markets, food, a chili contest, childrens’ activities and costume parade, live music, hayrides, sidewalk sales with downtown merchants and other vendors and pontoon boat rides. Downtown Square, Brodhead, Wis., (608) 897-8411, cityofbrodheadwi.us. Sept. 24, 6-8 p.m. Rose is hosting her first Victorian Light party. The first house in town to have electricity, all of Rockford’s elite are in attendance. Unfortunately for the happy party-goers, no one knows that there is a killer in their midst. All who attend are participants. Tinker Swiss Cottage Museum and Gardens, Rockford, (815) 964-2424, tinkercottage.com. Sept. 24-25, Sat. 10 a.m.-5 p.m., Sun. 10 a.m.-4 p.m. Experience World War II as more than 40 authentic vehicles and 1200 re-enactors battle with pyrotechnics, skirmishes, demonstrations and displays. New this year: hear the Andrew Sister’s live musical performance and tour General Patton’s Mobile Command Center. Midway Village Museum, Rockford, (815) 397-9112, midwayvillage.com. Sept. 21, 7:30 a.m. Join a day filled with activities for the entire family. The Fall Color Festival is an annual mountain bike event held at the John Muir trails. Learn tips to improve riding skills and reduce trail intimidation. Loops range from 5 miles to 35 miles. John Muir Trailhead, County Road H, Whitewater, Wis., (262) 495-8600, fallcolorfestival.org. Sept. 23-25. Boats are on display all weekend, showcasing major boat manufacturers such as Streblow, Gage Hacker, Gar Wood and many more The Abbey Resort, 269 Fontana Blvd., Fontana-on-Geneva Lake, Wis., (630) 802-2698, genevalakesboatshow.com. Sept. 24, 7 a.m. The annual TriRock Lake Geneva takes place at the end of the triathlon season in the Midwest. The clear water of Lake Geneva provides scenic views for a memorable autumn race. Race starts at 15 E. Geneva St., Williams Bay, Wis., (262) 248-4416, trirock.competitor.com. Sept. 30, 7-8 p.m. Learn about nocturnal animals, night vision and camouflage, hear stories about constellations, and celebrate being out in the dark. Jarrett Prairie Center, Byron Forest Preserve, Byron, Ill., (815) 234-8535, byronforestpreserve.com. Oct. 1-2, Sat. 10 a.m-7 p.m., Sun. 11 a.m.-5 p.m. Geek’d Con exists to celebrate the local geek community, featuring TV and film guests, comic book creators, local and regional artists, as well as vendors from across the country. Merch Indoor Sports Center, 8800 Riverside Blvd., Loves Park, Ill., (815) 399-2233, geekdcon.com. Oct. 1, 9 a.m.-4 p.m. Bring your show cars, tuners, custom trucks, classics and hot rods out to a great day at Traxler Park. Proceeds benefit the American Family Children’s Hospital. Traxler Park, 600 N. Main St., Janesville, (815) 505-5653, crankedinc.com. Oct. 1, noon-10 p.m. This annual German celebration features non-stop live music, wiener dog races, polka dancing and lessons, German-style food and beverage, a bounce house, games for kids and much more. Depot Park, 91 Bouthillier St., Galena, galenaoktoberfest.com. Oct. 7, 7-10 p.m. Hear scintillating tales from paranormal experts, listen to audio clips found in the Tinker Cottage and enjoy a tour with the chance to have your own paranormal encounter. Tinker Swiss Cottage Museum and Gardens, 411 Kent St., Rockford, (815) 964-2424, tinkercottage.com. Oct. 7-8, Fri. and Sat. 10 a.m.-4 p.m. More than 50 vendors are selling a variety of vintage goods in a two-acre field featuring the best in painted furniture, re-purposed items and hand-made jewelry and clothing. Meyer’s Canine Colony, 10985 Main St., Roscoe, Ill., (815) 742-4498, facebook.com/nelliesbarnsale. Oct. 8, 11 a.m.-4 p.m. Families of all ages can visit for fall harvest fun. Take a ride in a horse-drawn wagon, create your own scarecrow, make a harvest craft project to take home, play games, compete in a relay race and a scavenger hunt, square dance in this historic barn, and enjoy cooking demonstrations. Midway Village Museum, Rockford, (815) 397-9112, midwayvillage.com. Oct. 9, 8 a.m.-2 p.m. Steeped in tradition, the YMCA’s rowing crew plays host to the Head of the Rock Regatta every October. This decades-old race draws more than 2,000 rowers from across the country and more than 5,000 spectators to the banks of the Rock River. Watch along the river from Martin Park to the YMCA Log Lodge, 200 Y Blvd., Rockford, rockriverymca.org. Oct. 14, 7-8:30 p.m. Come for a moonlight walk on the prairie under the “Hunter’s Moon.” Participants can also make a moon clock to take home. Weiskopf Observatory, 7993 N. River Road, Byron, Ill., (815) 234-8535, byronforestpreserve.org. Oct. 15, 9 a.m.-noon. Celebrate the Nikolas Ritschel Foundation’s accomplishment of helping 50 young adult cancer patients and their families. Run, walk or shop – music, food and prizes are available. Rivets Stadium, 4503 Interstate Blvd., Loves Park, Ill., (815) 262-8825, nikolasritschelfoundation.org. Oct. 16, 10 a.m.-3 p.m. This doc-centric event has live music, demonstrations by dog trainers, craft activities for kids, a best trick contest and more. Receive a free family membership to the arboretum for adopting a dog. Klehm Arboretum and Botanic Garden, Rockford, (815) 965-8146, Klehm.org. Oct. 22, 2-8 p.m. Bring your family to trick or treat in the safety of Midway Village Museum’s charming Victorian village. Participate in additional children’s activities such s crafts, games and dancing. Midway Village Museum, Rockford, (815) 397-9112, midwayvillage.com. Oct. 23, 8:30 a.m. 5K run, 8:40 a.m. family walk. Participate in your favorite Halloween costume as part of the fun. Proceeds support the award-winning education programs at Rockford’s history museum. Midway Village Museum, Rockford, (815) 397-9112, midwayvillage.com. Oct. 29, 9:45 a.m.-1 p.m. Children show off their costumes in a walking parade down Grand Avenue during the last Farmers’ Market of the season. The fun includes carnival rides and activities for all ghouls and goblins. Downtown Beloit, State St. & Grand Ave., Beloit, (608) 365-4838, downtownbeloit.com. This entry was posted on Thursday, September 8th, 2016 at 11:59 am	and is filed under Recreation & Destinations. You can follow any responses to this entry through the RSS 2.0 feed. Both comments and pings are currently closed.